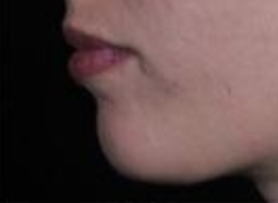 The chin creates definition to the lower face, and when small or retracted, can disrupt the overall proportion of the face. Enhancement of the chin with filler injections can not only improve the proportions of the face, but can create a more slimline, beautifully contoured profile to the face. At Skin Cliniq London, we use only the best filler products such as Juvederm to create remarkable and instant results! The filler is almost like a gel, and so can be shaped and sculpted to create the best results. The chin is one of the safest places to be treated, and you can be rest assured that you are in the hands of an experienced practitioner here at Smile Cliniq, London. If you are conscious of a short, or retracted chin, this procedure may be perfect for you. 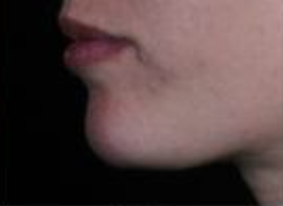 Women wanting to create a more enhanced and sculpted chin to produce a more feminine and contoured look. Men wanting to create a more enhanced chin and profile to produce a more masculine look. The procedure is carried out by an experienced dentist who has many years of experience providing these procedures with stunning results. The skin is cleansed and the injection sites will be marked.